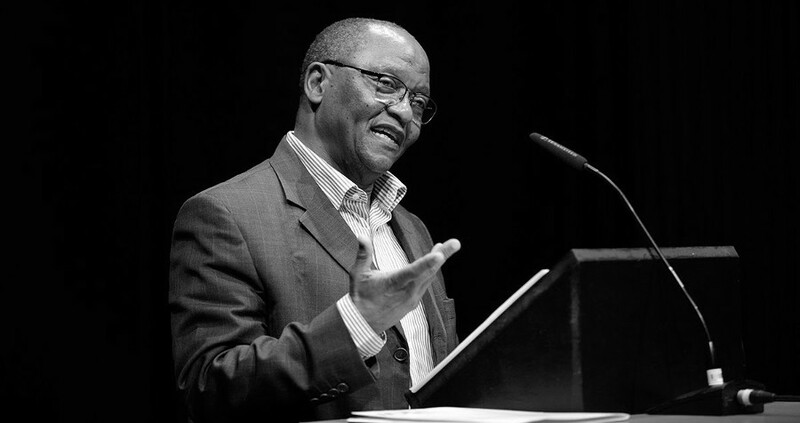 Professor Njabulo Simakahle Ndebele, an academic and writer of fiction, is the former Vice-Chancellor and Principal of the University of Cape Town (UCT). In late 2012 he was inaugurated as the Chancellor of the University of Johannesburg. An established novelist, Ndebele published The Cry of Winnie Mandela in 2004 to critical acclaim. An earlier publication Fools and Other Stories won the Noma Award, Africa’s highest literary award for the best book published in Africa in 1984. His highly influential essays on South African literature and culture were published in a collection Rediscovery of the Ordinary. Ndebele served as President of the Congress of South African Writers for many years. As a public figure, he is known for his incisive insights in commentaries on a range of public issues in South Africa. Ndebele is also a key figure in South African higher education. He has served as Chair of the South African Universities Vice-Chancellors Association from 2002 to 2005 and served on the Executive Board of the Association of African Universities since 2001. He has done public service in South Africa in the areas of broadcasting policy, school curriculum in history, and more recently as chair of a government commission on the development and use of African languages as media of instruction in South African higher education.